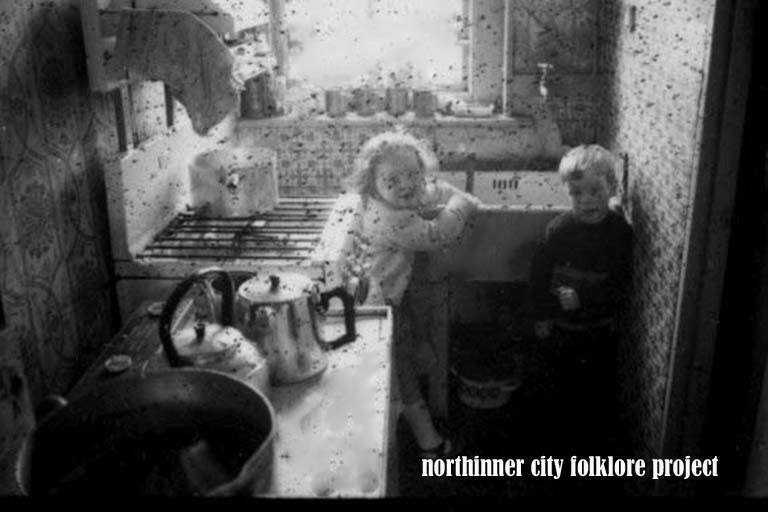 1980..Thundercut Alley on Queen St.
​Inside of a tenement kitchen with the little toilet on the right of the photo in the Tenement houses on Foley Street 1980s. Foley Street houses where opened in 1906 on a street named Montgomery Street, in the heart of the Dublin’s notorious red-light district known as Monto, which was short for the name of Montgomery. The street was re-named Foley Street on the opening of the new houses in 1906. The rent for a room in theses houses was two shilling and sixpence a week. 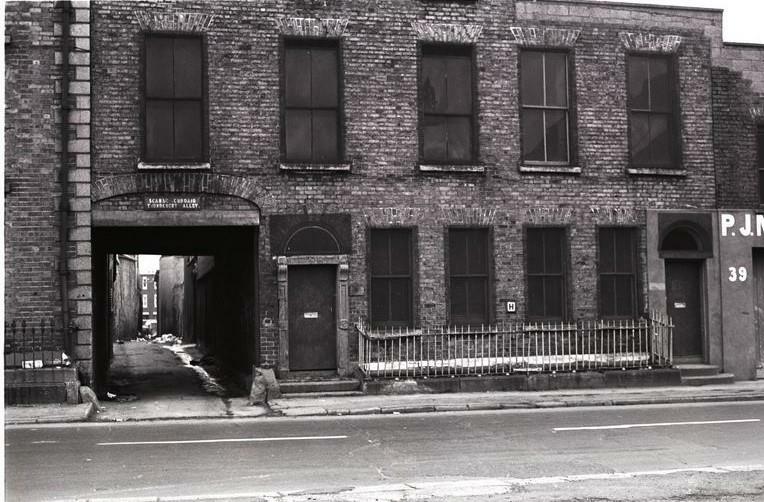 ​The rear of the old houses on Summerhill, Dublin late 1980s. 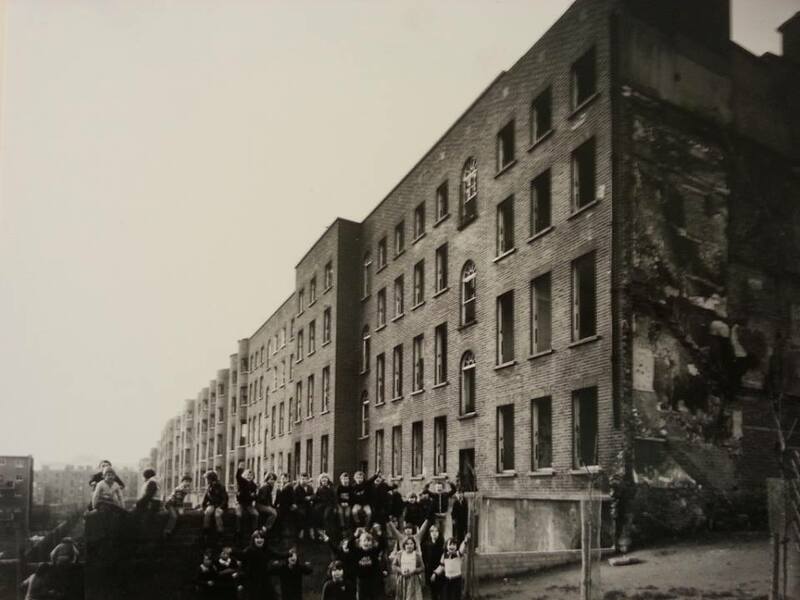 ​The demolition of the Dublin flat complex, St. Teresas Gardens, commenced on February 25th, 2015, sixty years after the estate was established. A few years before he died, community activist / social care worker, Paul Humphrey (1958-2009), who grew up, and lived and worked in St. Teresas Gardens, assembled a folder of black and white photographs that were taken by young people and others he worked with, in and around the flat complex, during 1984-5. To coincide with the demolition, the photographs are uploaded here to the music of Tchaichovsky's 'Symphony No. 6' (The Pathétique), and 'John O'Dreams', sung by Niamh Parsons. John O'Dreams - a metaphor for sleep, permanent sleep, and used here that troubles that beset St. Teresas Gardens and its people in previous decades will pass, and its good times will be fondly remembered. Documentary from the 1980s about women's issues in the Sheriff Street area of inner - city Dublin. Video finishes at 49:20 and then there is 7 minutes of black screen. This video tracks the work of a group of teenagers in the Darndale Estate, researching how people living in Darndale in the 1980's, and those outside Darndale viewed the estate. Their research findings and lobbying of Government and Statutory departments led to the decision to start the Redesign Project in Darndale in1987.